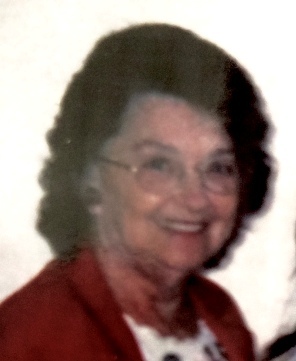 Margie I. Deel, 88, of Green Springs, OH passed away peacefully on Monday, January 28, 2019 at Eden Springs Nursing Home in Green Springs. She was born on February 15, 1930 in Grundy, VA, the daughter of Charlie C. and Lena C. (McClanahan) McClanahan. Margie retired from Progress Plastics in Bellveue, OH after many years of service. She enjoyed going to church, cooking on Sunday’s and spending time with her grandchildren and family. Margie is survived by her children, Lena Emery and Peggy Deel; sister, Sue Rohbach; brothers, Arvil and Elmer McClanahan; seven grandchildren and fourteen great-grandchildren. She was preceded in death by her parents; husband, Clyde Deel; son, Jimmy Deel; sisters, Phyllis Neiderlander, Thelma “Tubby” Lee and brother, Bill McClanahan. Visitation: Sunday from 2 to 4 p.m. at Horvath Hanes Funeral Home and Crematory, 211 N Broadway, Green Springs, OH 44836. Service: Monday, February 4, 2019, 10:30 at the funeral home with Pastor Paul Tyree officiating. All of our lives ( my brother, John Lewis III and myself ) , Sister Deel has been part of our lives. She was an encourager and always kept a positive attitude. We all know that her love for the Lord sustained her through every situation. My sympathy goes out to every member of the family. Lena, Peggy Sue, and Linda, if you need John or I , we are just a phone call away. Margie you were always so kind and had a big smile everytime I saw you. I happy you’ve been reunited with mom, Norma Mcclanahan Draves, and Granny, Effie Mcclanahan. You will be missed Margie! You always had such a great smile and gentle spirit for everyone. Always love seeing you and chatting with you. Prayers and hugs to the family at this time of loss. May God hold you all close at this sad time.